Among the prospective participants are carefully selected Bulgarian students, research fellows, experts and practitioners who are committed to various economic fields, display outstanding analytical skills and are eager to launch their own academic/entrepreneurial projects. Another group of prospective participants are young graduates and PhD students who demonstrate active social commitment, independent thinking and ambition for lifelong self-education. 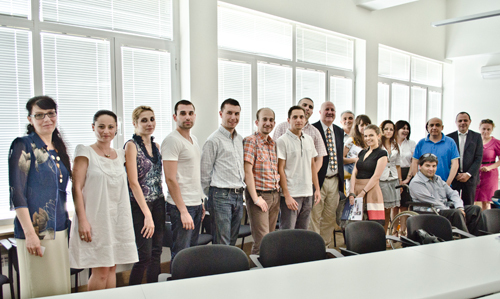 The interdisciplinary nature of the SBS programme makes it a particularly suitable knowledge forum not only for narrow economic and financial specialists but also for mid and top level managers, working at public sector organizations, financial institutions and other companies operating on the Bulgarian market.